Make yourself at home in one of the 100 air-conditioned rooms featuring LED televisions. Complimentary wireless Internet access keeps you connected, and cable programming is available for your entertainment. Private bathrooms with showers feature complimentary toiletries and bidets. Conveniences include phones, as well as desks and complimentary bottled water. With a stay at Hotel Lautze Indah in Jakarta (Sawah Besar), you'll be a 3-minute drive from Pasar Baru and 8 minutes from Istiqlal Mosque. 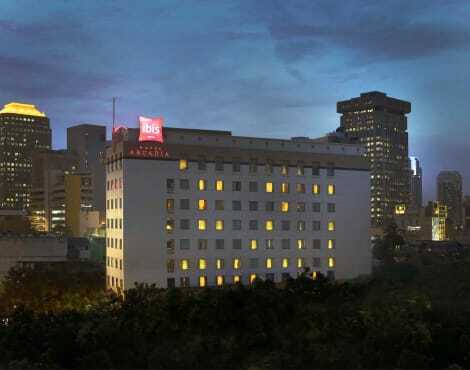 This hotel is 3.4 mi (5.4 km) from National Monument and 3.8 mi (6.1 km) from Grand Indonesia. With a stay at RedDoorz @ Jatiwaringin in Jakarta (Makasar), you'll be within a 15-minute drive of Royal Jakarta Golf Club and Lubang Buaya Memorial Park and Museum. 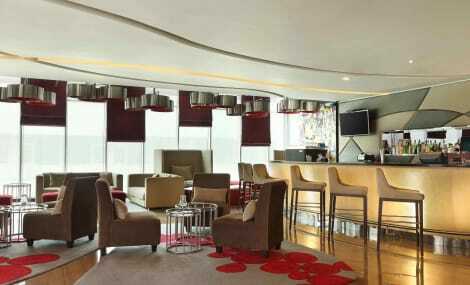 This hotel is 4 mi (6.4 km) from Taman Mini Indonesia Indah and 10.3 mi (16.6 km) from Grand Indonesia. Offering a spa and wellness centre, W Home is located 5 minutes’ walk from various dining options and cafés surrounding Jalan Senopati. Free Wi-Fi access is available throughout the property. Rooms here are air-conditioned and will provide you with a flat-screen cable TV and a minibar. Complete with a refrigerator, the dining area has an electric kettle. Featuring a shower, private bathrooms also come with free toiletries and slippers. 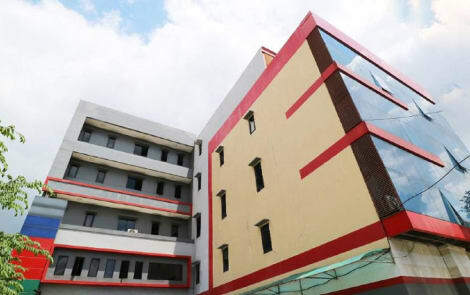 The guest house is 5 minutes’ drive from Jakarta’s Central Business District and is 10 minutes’ drive from Plaza Senayan and Senayan City Malls. It takes 45 minutes to drive to Soekarno-Hatta International Airport. At W Home you will find a 24-hour front desk. Other facilities offered include an ironing service and a laundry. The property offers free parking. Daily breakfast is served in guests’ rooms. Make yourself at home in one of the 168 air-conditioned rooms featuring flat-screen televisions. Rooms have private balconies. Complimentary wireless Internet access keeps you connected, and cable programming is available for your entertainment. Bathrooms with shower/tub combinations are provided. Jalan Melawai Raya No 189B. Blok M.
With a stay at Happy Inn Melawai in Jakarta (Kebayoran Baru), you'll be within a 10-minute drive of Block M Square and Gandaria City Mall. 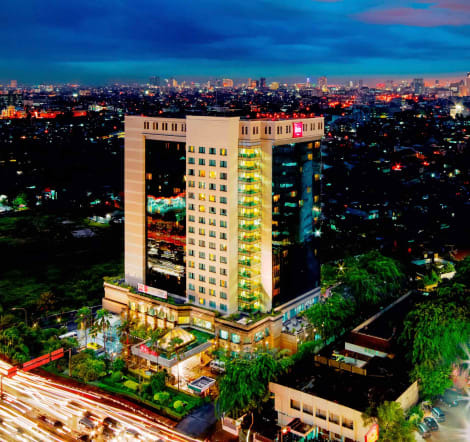 This hotel is 4.6 mi (7.3 km) from Grand Indonesia and 4.9 mi (7.8 km) from Thamrin City Shopping Mall. Ibis Jakarta Slipi Hotel is strategically located in West Jakarta, only 5 minutes from the central business district in the area. Close to Jakarta Convention Centre, shopping center & Senayan Sport Stadium. Easily accessible from & to the International airport. The ibis hotel offers rooms with Hi-Speed Internet WiFi access, 2 restaurants with outdoor barbeque, outdoor swimming pool & the Health Club. The 4-star Novotel Jakarta Gajah Mada hotel is located in Jakarta Barat, close to the shopping centres and entertainment districts. This Indonesian hotel features modern meeting rooms for corporate and social events. Guests can have delicious meals at The Square and enjoy our wonderful leisure facilities, including a beautiful swimming pool, massage service, fitness center, sauna and spa for a relaxing stay at Novotel. An international 3-star hotel in the heart of Jakarta, Ibis Jakarta Arcadia is ideal for business trip to Sudirman-Thamrin CBD and city breaks experience. At walking distance from the lively night restaurant area of Sabang Street. Located at 1.2miles from Monas - the icon of Jakarta City, and nearby the prime shopping malls of the city - Plaza Indonesia and Grand Indonesia. 1.86miles to Gambir Railway Station, 8.7miles to Halim Domestic Airport, and 16.2miles to Soekarno-Hatta International Airport. Jakarta, the capital of Indonesia is a honey pot for tourists with its thriving cultural centre. Positioned on the northwest coast of Java, it is also one of the most populated cities in Indonesia. 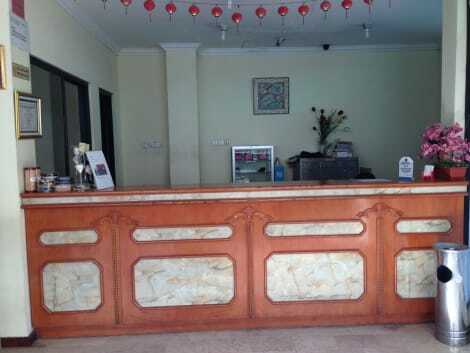 Jakarta Hotels are numerous and varied, offering basic to luxury accommodation to fit most budgets. Jakarta Old Town, known as Kota, or Old Batavia was dubbed ‘the jewel of Asia' by visiting European sailors, during its heyday in the 16th century. As the headquarters of the Dutch East India Company, the buildings reflect their colonial past, although sadly much of it is crumbling away. Designated a UNESCO World Heritage Site, it's still possible to wonder the streets and admire the Old Batavia architecture, such as the Jakarta History Museum, the Post Office and the Maritime Museum. Check out the National Monument, standing proud in Merdeka Square to commemorate the fight for Indonesian Independence. Merdeka Palace, the official residence for the President of the Republic of Indonesia, stands nearby. So too does the Jakarta Cathedral, with its fine masonry and Neo Gothic design. To visit a classical concert hall, try Aula Simfonia Jakarta in Kemayoran or the Gedung Kesenian Jakarta near Pasar Baru. For some traditional Javanese Wayang Orang performances, try the Wayang Orang Bharata theatre. The city is a cultural hub with various International Fairs and Festivals held annually throughout the year including an International Film Festival, Jazz Festival and Fashion Week. Jakarta is full to bursting with museums. If you're interested in science, try the Research and Technology Information Centre, then there's the Transportation Museum, Komodo Indonesian Fauna Museum and Insect Museum to name but a few. Take a trip to the Taman Mini Indonesia Indah, located east of the city where life in Indonesia is depicted via textiles, artefacts and architectural design. There's also an Imax cinema, cable cars and lake to explore. Ancol Dreamland, part of Ancol Bay City is perfect for those seeking a great day out. Dunia Fantasi theme park, an international championship golf course, Sea World and Atlantis Water Adventure are just a few of the facilities available. Food here is rich and varied. The local Betawi Cuisine is a hybrid of Chinese, Malay, Indian, Arabic and European influences. It makes for some exciting dishes. Try the Soto Betawi, a beef and offal dish in a spicy coconut milk broth or the gado-gado Betawi, made up of steamed vegeSEOSITE_LEVEL_DESCRIPTIONs, boiled eggs and peanut sauce. Jakarta is one of the best places to shop in South East Asia. It's various shopping malls as well as the more traditional markets make for some great retail therapy. For luxury goods and designer brands, try the Plaza Senayan or the Grand Indonesia Shopping Town. For high street shops, try Central Park Jakarta or Mal Kelapa Gading. For the more traditional markets, visit Blok M, Glodok or Senen.